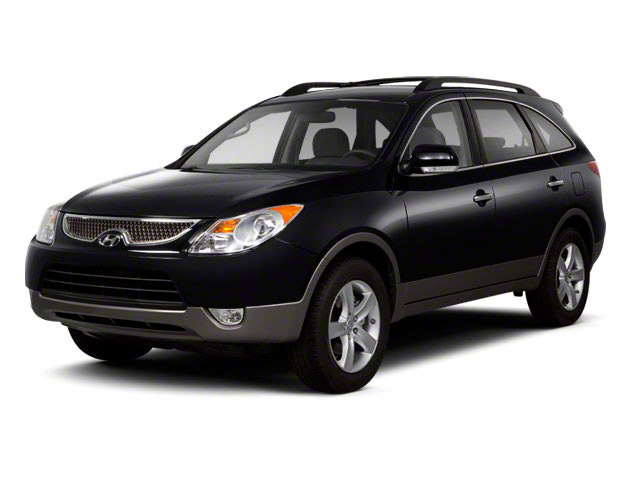 For 2012, Hyundai's largest crossover utility vehicle, the Veracruz, gets new standard heated second-row seats in the Limited trim, as well as a newly available Alpine navigation system. All models get a more imposing grille design, plus new 18-inch 'hypersilver' wheels. The Veracruz is available in GLS and Limited models, with or without all-wheel drive. 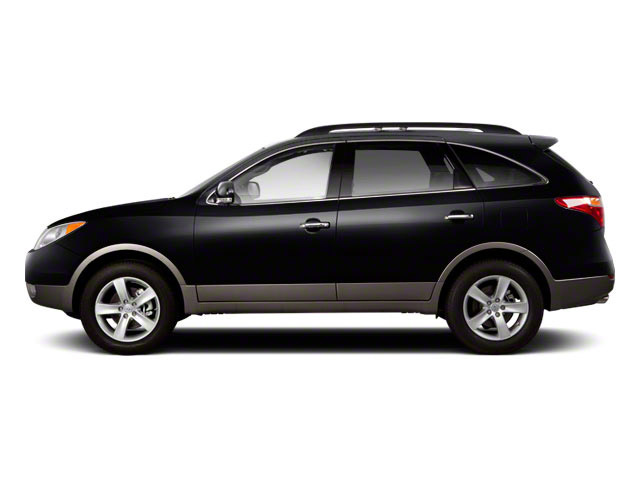 Regardless of the model, all come powered by a 260-horsepower, 3.8L V6 engine, with a 6-speed automatic transmission. The engine has continuously variable valve timing and a variable intake system to help provide responsiveness and efficiency through the rev range. Fuel economy estimates for the Veracruz are as high as 17 mpg city, 22 mpg highway with front-wheel drive. Overall, the Veracruz has very car-like underpinnings, with MacPherson struts in front and a multi-link setup in back. Its power rack-and-pinion steering system provides good handling and better maneuverability than some other vehicles in this class, too. Versions of the Veracruz with the Intelligent Torque Controlled Coupling All Wheel Drive system are better equipped to get through tough winter conditions, as they have a road-oriented system that not only sends more power to the rear wheels when needed but also includes a button so that the driver can lock a 50/50 torque split to help power through snow or mud. Both the dashboard design and the driving position of the Veracruz are quite car-like, with comfortable bucket seats in front, a second-row bench to fit three, and a third row good for two. Both the second and third rows are split to choose between passengers and folding for cargo, and the second row slides forward when needed, for easier access and entry to the back row. All Veracruz models get blue backlighting and brushed metal accents, in a nicely trimmed interior that has plenty of soft-touch surfaces. It's also one of the quietest vehicles, either among luxury-brand or mainstream-brand vehicles, thanks to a host of noise-insulation measures, plus passive and active engine mounts to quell vibrations. The standard sound system in the Veracruz GLS includes 172 watts and six speakers, with three months of XM satellite radio service, while the Limited upgrades to a 314-watt Infinity system with subwoofer and external amp. Both of the systems come with an auxiliary input and a USB port that allows iPod control and song/artist information display. The Hyundai Veracruz takes on the Lexus RX 350 and Nissan Murano, yet offers a feature not ordinarily seen in luxury crossovers this size: a third-row seat. 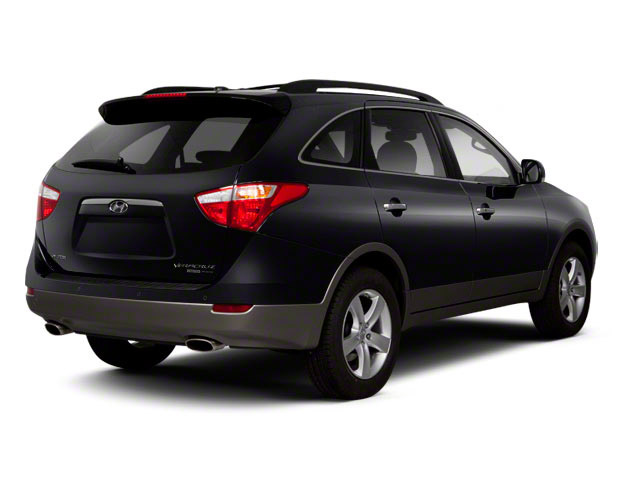 On the flip side, compared to minivans and more mainstream crossover utility vehicles like the Toyota Highlander or Honda Pilot, the Veracruz is smoother and sleeker in design and driving demeanor.